The allocation of cars is based on the fastest race lap isn't it? Yes, averaged from both races. Do we keep the edited file for the race tonight, or will the server be setup for it? What edited file do you mean? Gotcha. No, the fuel is set only by the server now. It ignores your offline file. Well, I haven't warmed up to these cars much (at all). The first race I had been in an accident and bent every part of the car, it was rather funny to drive sideways and didn't like to turn one way too much. The next race I've been running ok, but the pit was completely screwed up. I had gone in twice, the first time I've clicked everything but nothing had been changed, and once the menu disappeared I've started going just to find out that I've no fuel...went back in the second time, did the same sequence (I thought) but this time the tyre didn't get changed. I didn't go back the third time, just drove the distance on used tyres, they weren't awfully bad. I don't know I run 3s off the pace, that was just abysmal. Good race , sad about the 1st race as i was having internet ping problem that i had to retire in middle of the race. Couldve been great race with Guybrush and Marty. 2nd race had great fight between Matthew11 as he was sticking to my rear until i pitted. After that it was a drive till finish line. Hope to have good constant internet connection for next race. That is a busy field! Wow! Great pics it is hard to believe it is sim screen shot. Sorry fur the tap Shmittez in race 1 and GW in race 2 just poor driving on my part. Well even it I'm down the back over alk very pleased with my race last night. No damage and I hope consistent when I check the times. But I will put a skin together it adds to the immersion. My eyes were very sore by the end of race 2. Man... Not one Hello Kitty to be seen. You guys are so serious!! Looks like it was a fairly good night yeah? and pretty close racing for 45 minutes? or did you get a bit strung apart? Anybody have a successful pit strategy? Did Gratulin come 10th? Anyone fall asleep? Rage quit? 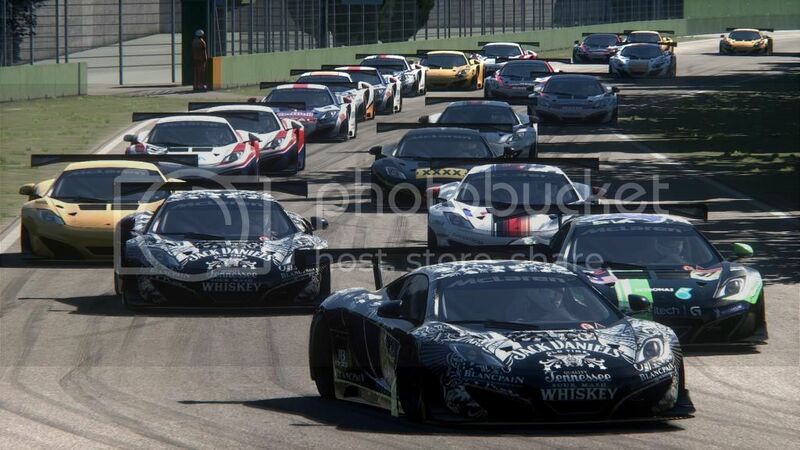 It spread out as the race progressed, but with 24 cars on track, there were groups of cars here and there. Gratulin had had enough half way through the long race. The most interesting thing strategy-wise seems to have been tyre choice. With a mix of cars next week, I expect to see some different pit strategies. A good night of racing. Race 1 was fairly close between Aiman, Marty and I and then Aiman had some connection issues. I then tried to hold a gap to Marty which worked out fairly well for a fairly regulation finish and race. Qual 2 I crashed on my first fast lap and damaged my car and so had to continue and try to do another fast lap with a damaged car so ended up starting around 4th or 5th. Race 2 I hung onto the leading pack of Aiman, Matthew and Ed Wood for a few laps until I spun and went down to around 10th or 11th. Must have been a banana skin that Ed threw out the back of his car. Anyway, had an interesting race coming back through the pack and toward the end caught back up to Ed, but then got a bit sideways coming out of the chicane and lost some time. 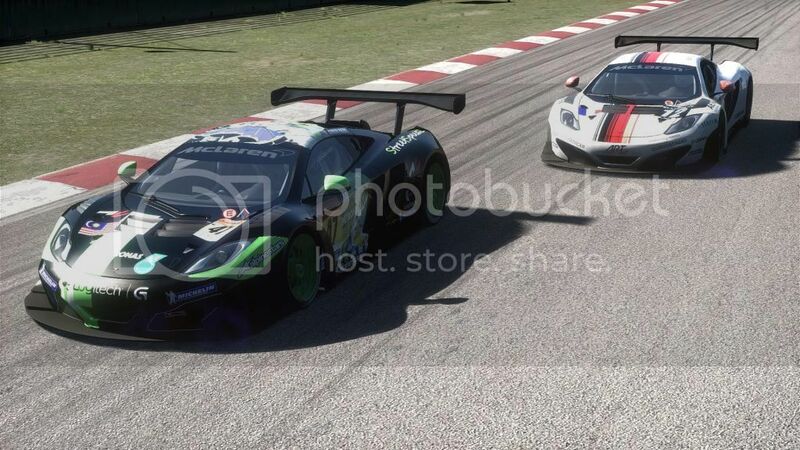 Thankfully I didn't have any traffic this time so was able to put in a hot lap to catch up to him and overtake him on the final lap to grab second. It would have been interesting to see what would have happened if I didn't spin as I think there would have been some close racing with Aiman. 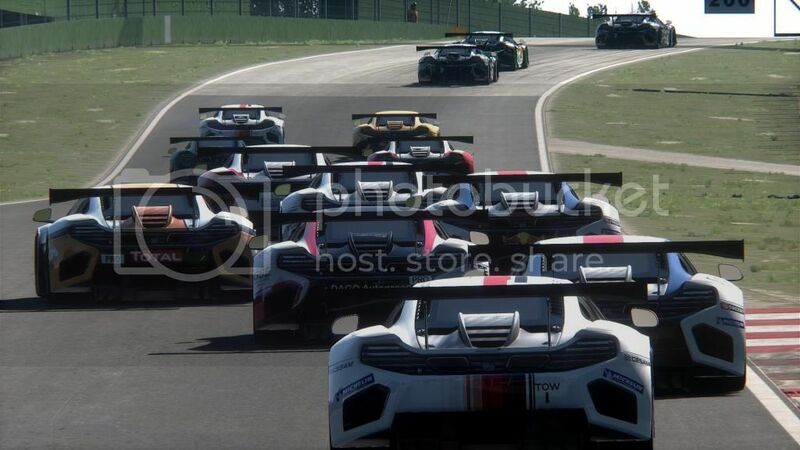 I like Imola as a track, but it's not one of my best - hard for me to be consistent. So all things considered I think I escaped with damage limitation.